Upon graduation from the Moscow Ballet School in 1933 she joined the Bolshoi Theatre Ballet Company, where she was the principal dancer till 1959. 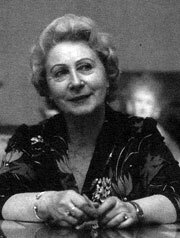 In 1960 she was given the directorship of the Moscow Choreographic School, which later became the Moscow Ballet Academy. Sofia Golovkina shares her pedagogical experience in her book Lessons of Classical dance in Senior Grades, as well as in other books published abroad. She staged several ballets, such as Coppelia music by Delibes and Little Symphony by Bellini. She participated as Jury member in many international ballet competitions in Moscow, Varna, Jackson, Paris, Helsinki and Tokio. Sofia Golovkina is the People?s Artist of the USSR, Academician, Winner of the State Award of Russia.